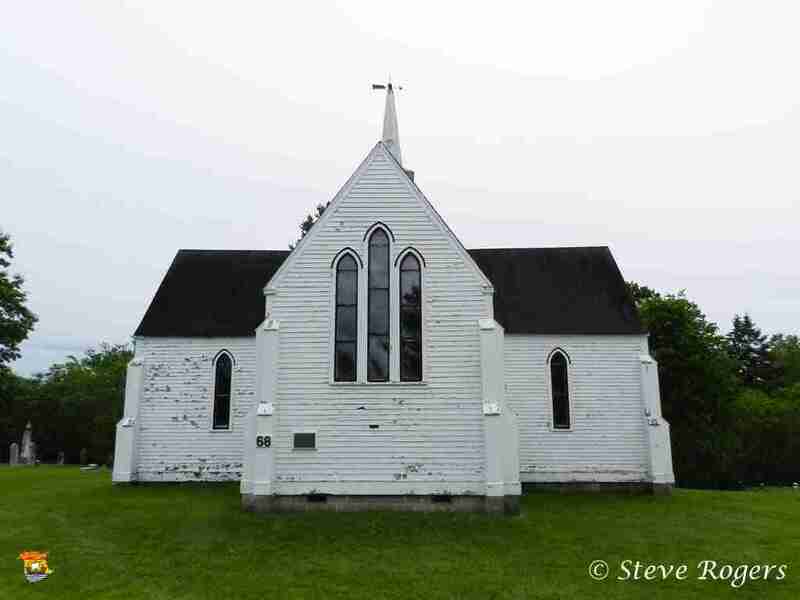 Holy Trinity Church Provincial Historic Site is a small, wooden Anglican church located on the north bank of the St. John River in Lower St. Mary’s, just east of Fredericton. 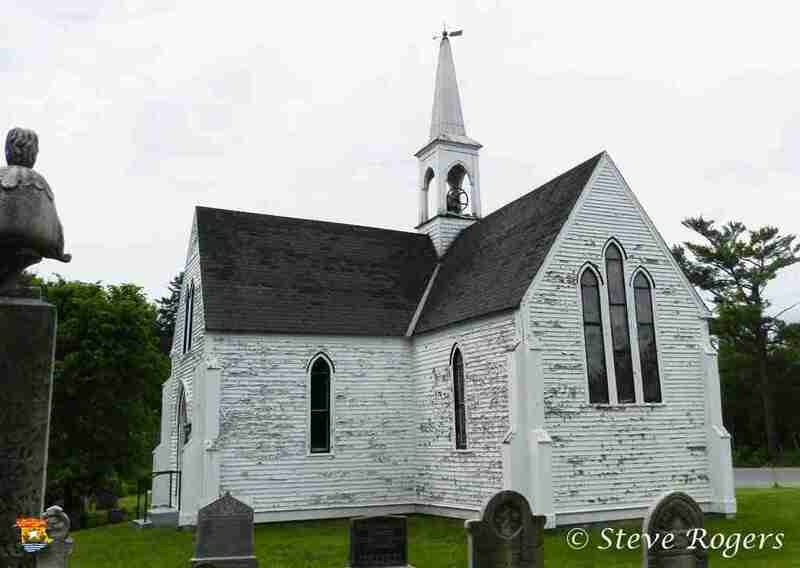 Constructed in 1846 on a cruciform plan, this is an early and distinctive example of Gothic Revival church design promoted actively by New Brunswick’s first Anglican Bishop, John Medley. 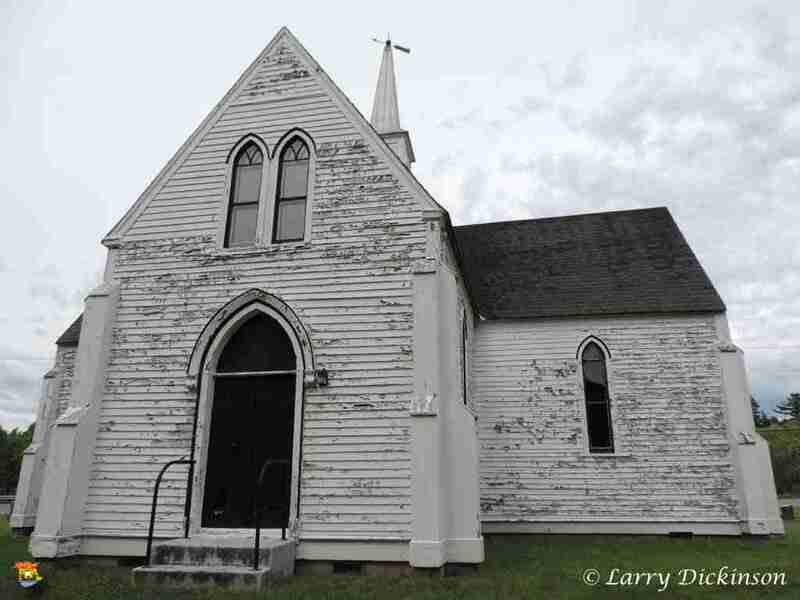 This church serves as a noteworthy example of the more than 100 Neo-Gothic churches erected in New Brunswick during the 47 year episcopate of John Medley, (1845-1892). Whether designed by Medley himself or by his English architect, Frank Wills, or whether a collaborative venture between the two, it is clear that Holy Trinity’s architectural scheme was distinctive in nineteenth century New Brunswick. 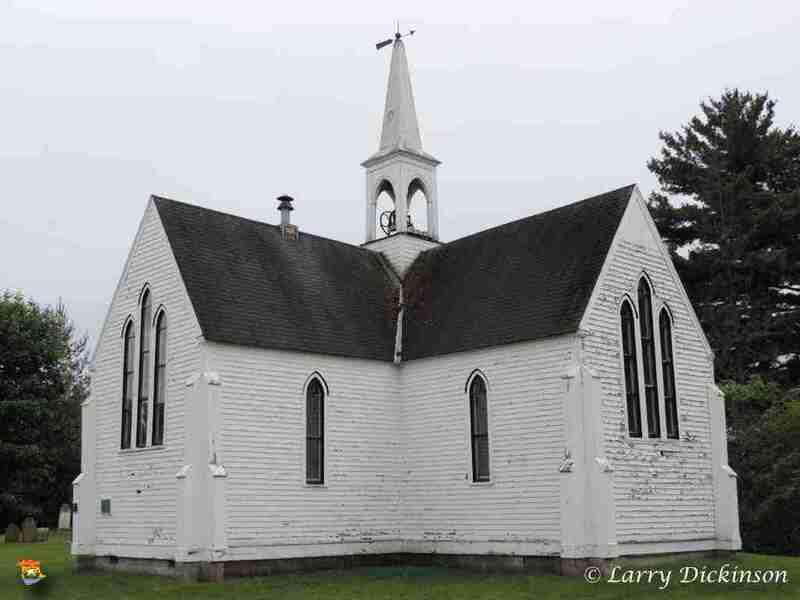 This early Gothic Revival church is built on a cruciform design, with each arm of the cross of equal size. As such, it is unique among the churches influenced by Bishop Medley’s Neo-Gothic architectural principles. As one of the first church buildings to be built under Medley’s supervision, Holy Trinity exists as a prototype of the Bishop’s architectural vision for his New Brunswick diocese. This church has been recognized because it embodies the aesthetic agenda of the English Ecclesiological Society. Medley affirmed the aims of this group, which favoured a return to the architectural principles of the Gothic churches of the Middle Ages. As one of the first parish churches to be designed and constructed as part of Medley’s extensive church-building program, Holy Trinity is important both in cultural and religious terms. It represents an early example of Medley’s architectural priorities for New Brunswick. 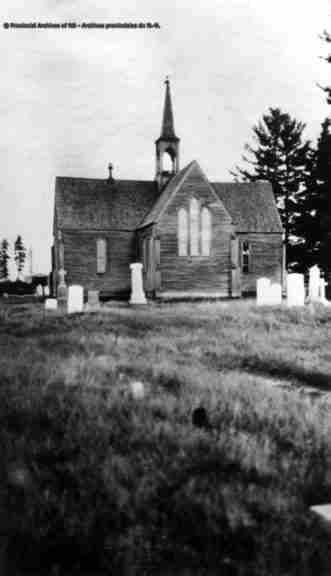 The extensive use of butternut as the material for pews and other liturgical furnishings demonstrates Medley’s preference for this St. John River Valley wood. It was easy to work, and it reminded the Bishop of English oak, the wood that typified so many English medieval churches. Character-defining elements of Holy Trinity Anglican Church include: – understated exterior, with few decorative embellishments, in wooden clapboard featuring stylized Neo-Gothic buttresses on each corner; – triple lancet windows of plain glass found in the north and west arms of the church and coloured glass in the east transept, with a double lancet window located over the front entrance and its materials, facing the river, on the south transept; – narrow single lancet windows found on the side of each arm and moulding around all openings; – belfry perched above the church over the centre of the cruciform. Church’s interior space corresponding to the liturgical requirements as a place of Anglican worship, with each arm of the cross serving a particular sacred function, as follows: – east arm was the chancel; – north arm was the choir; – other two arms provided space for the congregation. Other character-defining elements in the interior include: – austere butternut pews filling three of the four transepts; – other liturgical furnishings including the original butternut pulpit, reading desk, priests chair and altar with a stylized quatrefoil motif in the Neo-Gothic manner.